Wait... weren't you saying that the New Orleans-class was underpowered compared to the Interepid, and now you're saying its strength is overstated? Mikey wrote: Wait... weren't you saying that the New Orleans-class was underpowered compared to the Interepid, and now you're saying its strength is overstated? I think hes saying if we went by modern military scales it would be overpowered. As Stitch said, I think trying to compare Star Trek ships and their destinations and modern (IE world war 2) equivalents is silly. The differences between the strength of the DITL ship indexes are much smaller than the differences between World War 2 ships. It makes for a bad analogy. Edit: Whoops, my noobness is showing through. I just read the sticky about not to debate here. So I'm leaving this to rest. If the site creator deems it worth rearranging some of the strengths on some classes, let him. If not, then not. In the temporal section, you have it listed that Kirk destroyed the Narada with a volley of phasers and torps. IIRC, he DAMAGED it but the anomaly actually destroyed the ship. Mark wrote: In the temporal section, you have it listed that Kirk destroyed the Narada with a volley of phasers and torps. IIRC, he DAMAGED it but the anomaly actually destroyed the ship. Actually, it was more of a combined effort. stitch626 wrote: Actually, it was more of a combined effort. True, but it was more the "black hole" that did it in, not the neoE - the Enterprise certainly hurt it, but didn't a couldn't kill it, any more than Kirk's boot to the face killed Kruge in TSFS. Not especially, the Narada had proven it could very easily traverse the black whole without being destroyed. What killed it was the Enterprise smashing it into bits. Of cause this was only possible once the shields where down. Exactly. The damage done by Kirk and Spock comprimised its structure, allowing it to be torn apart by the "black hole". Had Enterprise never fired, likely the ship would still have been destroyed by the damage already incurred. Otherwise, if it was in no danger of destruction, why offer assistance? Mark wrote: Exactly. 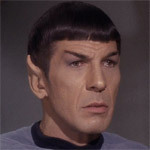 The damage done by Kirk and Spock comprimised its structure, allowing it to be torn apart by the "black hole". Had Enterprise never fired, likely the ship would still have been destroyed by the damage already incurred. Otherwise, if it was in no danger of destruction, why offer assistance? They specifically said that it had every chance of surviving the black whole. That's why the fired on it at all, because if they didn't then it could easily have survived. IanKennedy wrote: They specifically said that it had every chance of surviving the black whole. That's why the fired on it at all, because if they didn't then it could easily have survived. Agreed; it survived once, they didn't want to take a chance of it surviving a second time. Right. But my point is, is WASN'T the fire it was taking from Enterprise that destroyed it.....it was destroyed by the black hole after taking critical damage from both Spock ramming the Jellyfish, and Kirk opening fire. Mark wrote: Right. But my point is, is WASN'T the fire it was taking from Enterprise that destroyed it.....it was destroyed by the black hole after taking critical damage from both Spock ramming the Jellyfish, and Kirk opening fire. I got the impression that it was a combined effort of all the various factors. The Jellyfish rammed the Narada, causing serious damage. The nE then damaged it sufficiently to allow the black hole to tear the vessel appart. Yes, but isn't that like saying that the sea is what sinks ships. After all the torpedo from the submarine only sends the sub to the bottom, it's the sea that corrodes the sub and eventually dissolves it completely. Well no. While the sea does dissolve the ship, it doesn't sink it (at least not for the reason you listed). The ship doesn't have to dissolve to sink.